A new guide has just been released, covering the “Essential Services” available to walkers along Hadrian’s Wall Path. 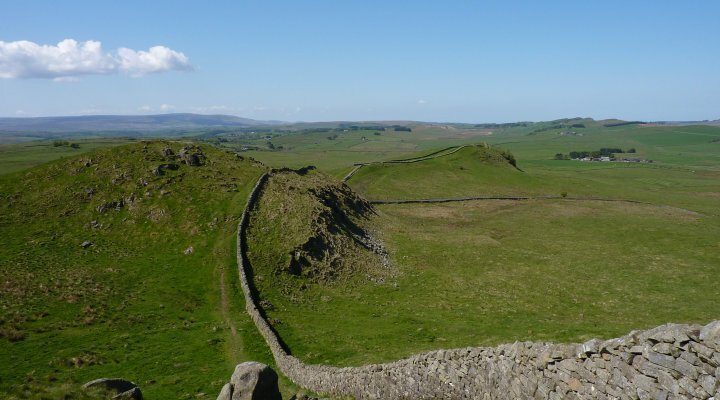 Hadrian’s Wall Path runs through a varied and inspiring landscape ranging from the tranquillity of the Solway estuary to the rugged uplands of the central section of the Wall. It is rich in archaeology, wildlife and geological interest. Yet the visitor’s experience of even the most magical places can be marred if you don’t know where to get a cold drink on a hot day or you can’t find a hearty meal in the evening after a long day walking the National Trail – and even worse if you can’t find a place to withdraw cash to pay for these! This popular pocket-sized reference is a compilation of answers to frequently asked questions, top tips and general good advice. 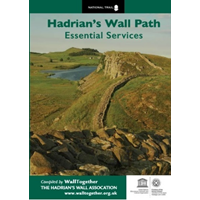 It will greatly help walkers and visitors to find these essential services, and so help you to enjoy Hadrian’s Wall Path to the full. The Whitby What?… The Whitby Way! It’s one of those last minute decisions that made it all the more exciting; we were going to do another long distance walk after all. Our big trip was months away in November when we would be going to see our family in Japan. 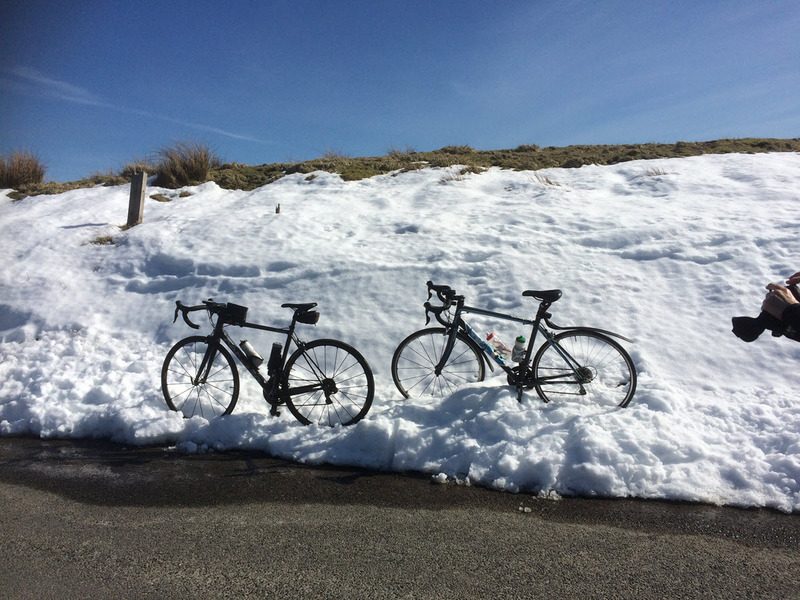 We had both had various health issues that made it look as if we were not going this year. Then with just a few weeks to go to our window we started to look at possibilities. 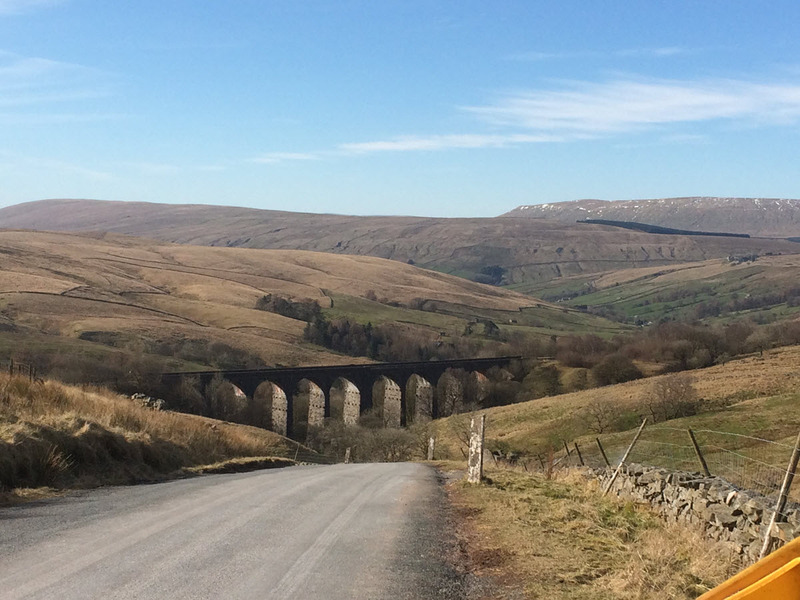 We had by now done 4 long distance walks mostly in Yorkshire starting in 2012, when following an episode of Ramblings where Claire Balding was walking ‘A Dales Highway’ we booked to go on our first. Since then we had done the Cleveland Way, Coast to Coast and the Tributaries Walk. It’s not for everyone and some may wonder whether walking day after day will be exhausting carrying all that stuff, your feet either swelling up or getting blisters. Like any holiday you have to research, plan, train and experience it. By walk 3 you may be getting better at it. 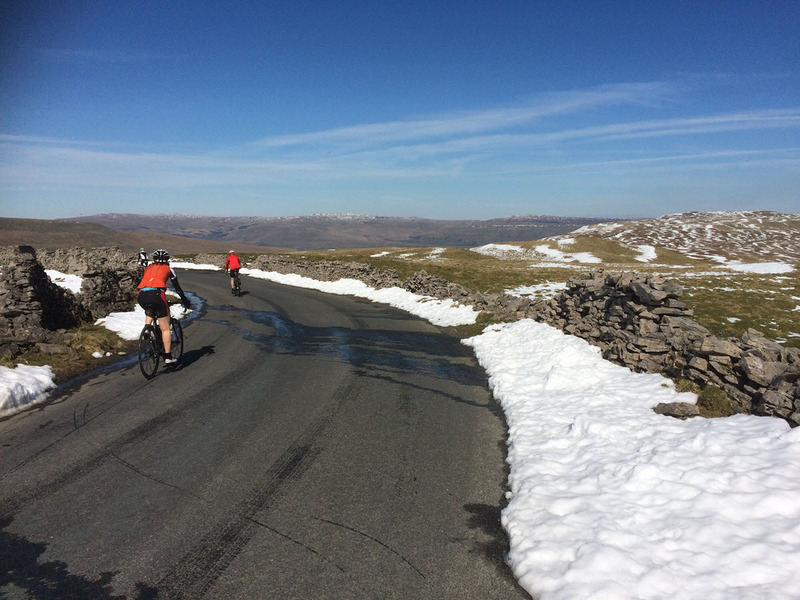 We discovered Brigantes, a small business in the heart of the Dales, run by Mike and his daughter Annette, employing drivers who ferry their client’s bags from one guest house, pub, and small hotel to the next every day. They deal with the bookings and the bags you just have to deal with yourself and your carry-on day sack. There offer a choice of walks and for each different numbers of days you could walk the walk. You just book your choice and they do the rest. Mostly they get you accommodation where your route is just outside your guest house door. Annette has a massive resource of appropriate guest house, pubs, and hotels on her books to make sure that happens. This time we noticed a new walk on their website “The Whitby Way” and asked if Annette, who now runs the business after her father’s death, could fit us in with only three weeks’ notice. Yes they could do it. We had to accept a couple of extra charges but otherwise it worked out excellently. Why the Whitby Way. It is a pilgrim route from The York Minster and finishes at Whitby Abbey over gentle landscape with a few hills of 75 plus miles. It would take us through some new country for us and also some old routes as well. We have never done a pilgrim route and obviously there are many famous ones both here and in Europe, but this was not well known. It was the brainchild of The Rev Canon Leslie Stanbridge who wrote “Whitby Way: For Walkers and Cyclists – A Sixty-six Mile Pilgrimage from York to Whitby”. The guide book sadly is out of print so it meant a bit more researching the actual route but that made it more interesting. There is an electronic map that you can down load but it’s the descriptions of the places that Leslie would have written about especially the churches and the old ruined monasteries that would have been interesting. 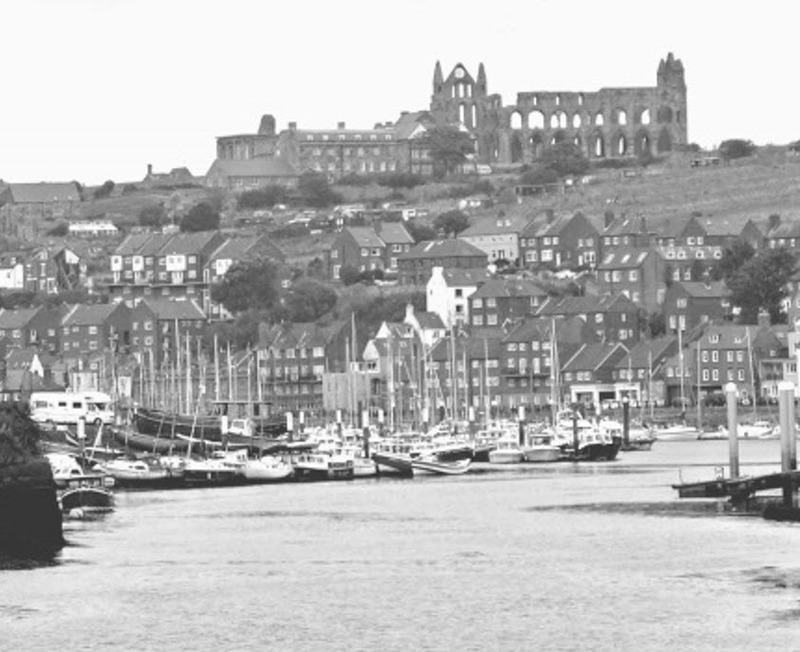 We know both places, in particular Whitby where we have stayed much over the last three years. It was also the first time it was on the Brigantes Website. We have got used to waymarked paths which have the acorn symbol carved out of wooden signs. The Cleveland Way last year’s walk has hundreds of these all pointing the correct path most of the time. Also these most established walks have many guide books and maps dedicated to them, by Harvey’s and others. 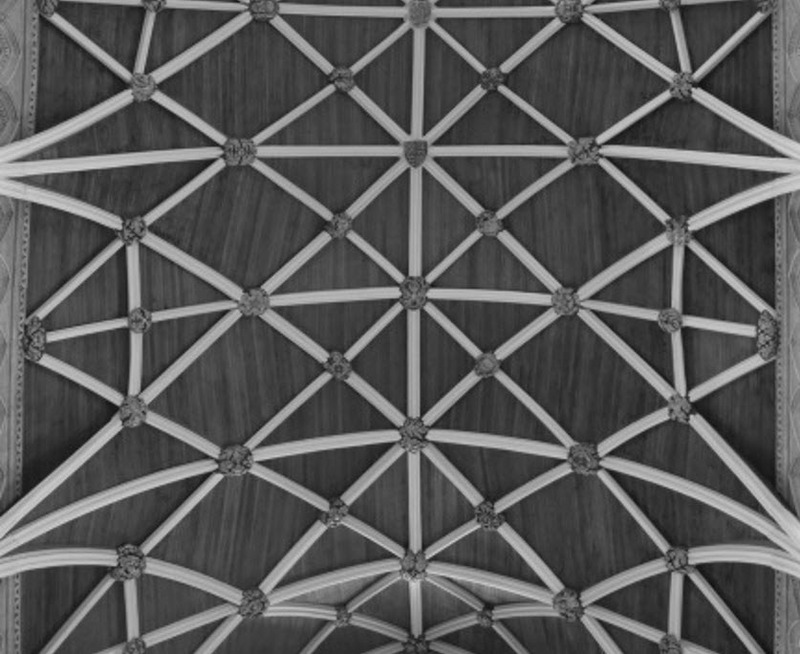 The OS maps also tend to mark the most important ones. So this was going to be different and after much tracing and writing up a route card for each leg of the journey we set off for York and started the next day by walking back into the old city to touch the walls of the Minster. (We intended to travel back and spend a day in York before we went home). The weather was against us as a fine drizzle started as we passed The Monksgate Guest House of the previous evening, to join the Foss River Walk. 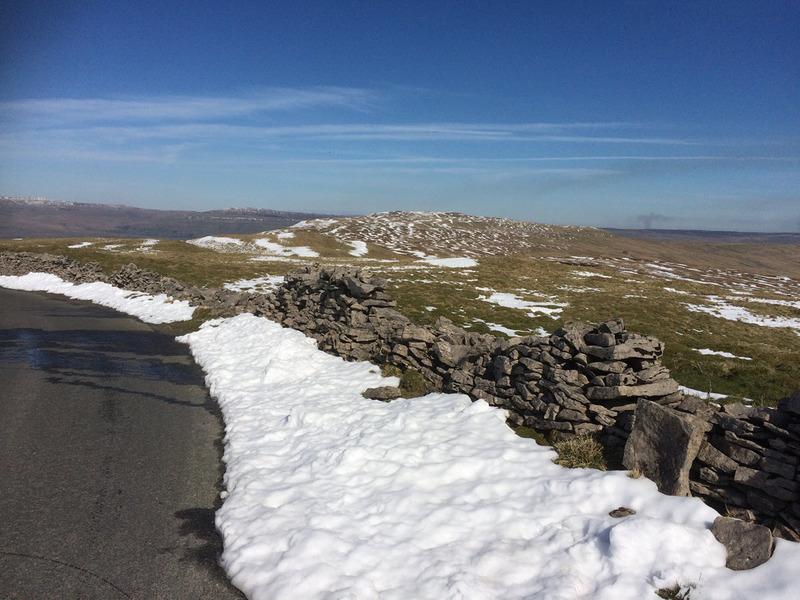 Putting on our anoraks and over trousers, we plodded up the path, believing this was the Way. Shall we just say the map and way on the ground didn’t quite match up so we slowly left the City and out into the flat countryside to the north. 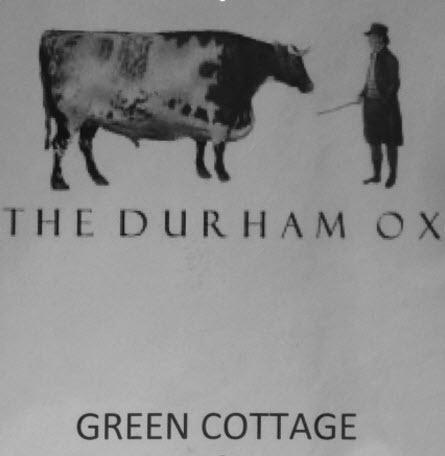 Our problem was the 15½ miles to get to The Durham Ox in a small village called Crayke on just our first day and at this rate we wouldn’t get there until late evening. We enjoyed that day however, the walking was easy once we were following the footpaths. The afternoon was dry and even sunny and by early evening we though tired and we were glad to climb up the knoll on which the village stands. We were overjoyed by our luck to get a spacious room, with a view and a lovely shower though at this gastropub, this was where we had to pay a supplement. We had a lovely meal and in the morning were loaded down with a massive packed lunch enough food to last three days. The next day’s highlights were the low hills, some lovely villages and Byland Abbey but before that we had a run in with some very curious horses. We had made a slight error by going over into a field of horses and two of them took a lot of attention to these walkers who shouldn’t have been in their field. Also they could small the large packed lunch newly made in the top of one of the rucksacks. Neither of us are horsey people and it took ages trying to fend off these very inquisitive equines. With great relief we climbed over a rusting gate and made our getaway. Shortly we reached Easington and Byland Abbey which is bigger than it looks from the road. We were due to be met by our taxi to take us in the Helmsley for the overnight. (Yes of course we always cheat and get taxis to avoid the difficult bits.) No Annette could only find a bed for us at the Feathers in Helmsley and a taxi would take us back to Byland the next morning. We started last year’s walk Cleveland Way there and now we were back and visited the castle there. Next morning the boss of the taxi firm brought us back to Byland and it was lovely seeing the ruins through their gossamer of morning mist. 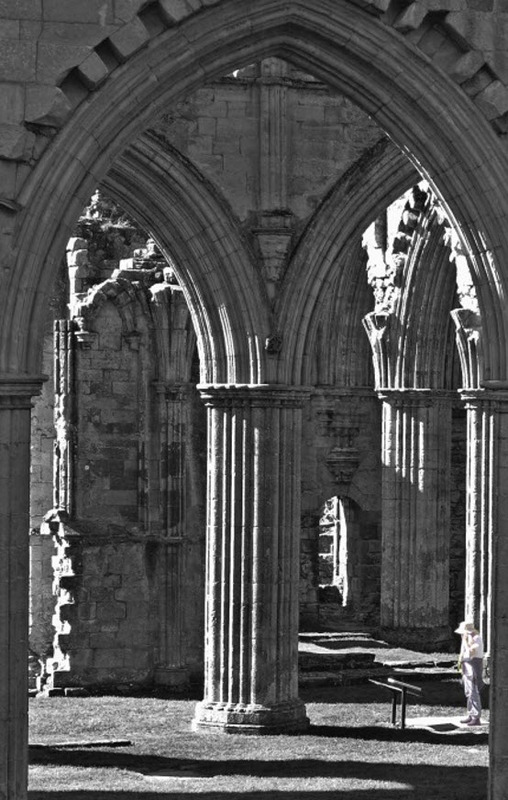 We hit the road and strode over two moors first on road and then track and footpath down into Ryedale and Rievaulx Abbey with its new visitor centre. Last year we had a quick visit on our first day out from Helmsley. An hour later we walked through Helmsley and had our lunch (a la Durham Ox) under an oak tree. This is when the route got interesting and again the pace slowed as we negotiated changes in the paths and missing an arrow pointing us the right way. It took us some time to find the waymark leading down steeply into the valley below. The Whitby Way uses footpaths, tracks and roads, all we had to do was to take the right one. If you cannot see the footpath you just have to root around for it. Getting in a 7:45 pm it was a joy to be at Plumpton Court in Nawton a small village a few miles east of Helmsley. An Indian restaurant provided us with a very good meal. Our charming hosts gave us a hearty breakfast and made a special effort to give us another packed lunch. We stopped off in Kirkbymoorside and had a cuppa (no cakes we were loaded with food) and walked to Hutton le Hole and by Lastingham, a village which we plan to revisit. 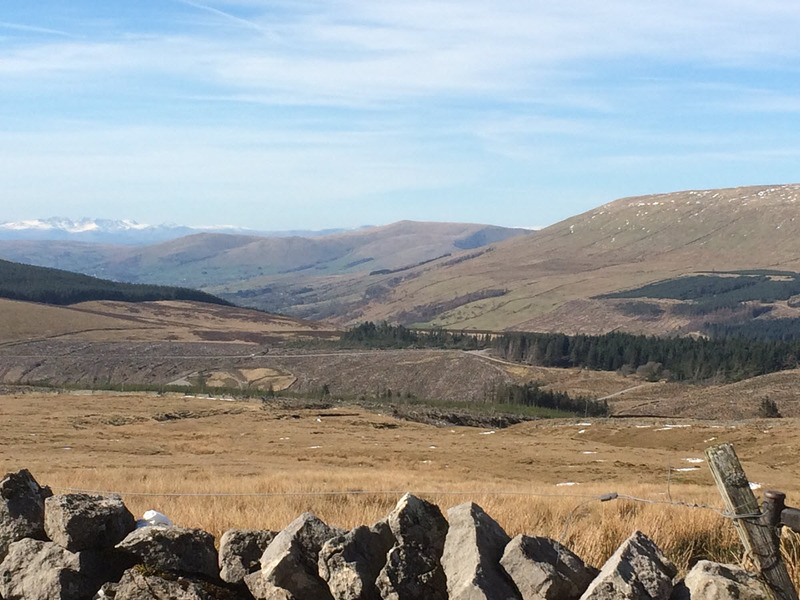 It is one of the difficulties with a walk like this is that you have to make compromises. You have to walk the walk but you also want to visit many of the interesting wayside churches like St Gregory’s Minster, Kirkdale. 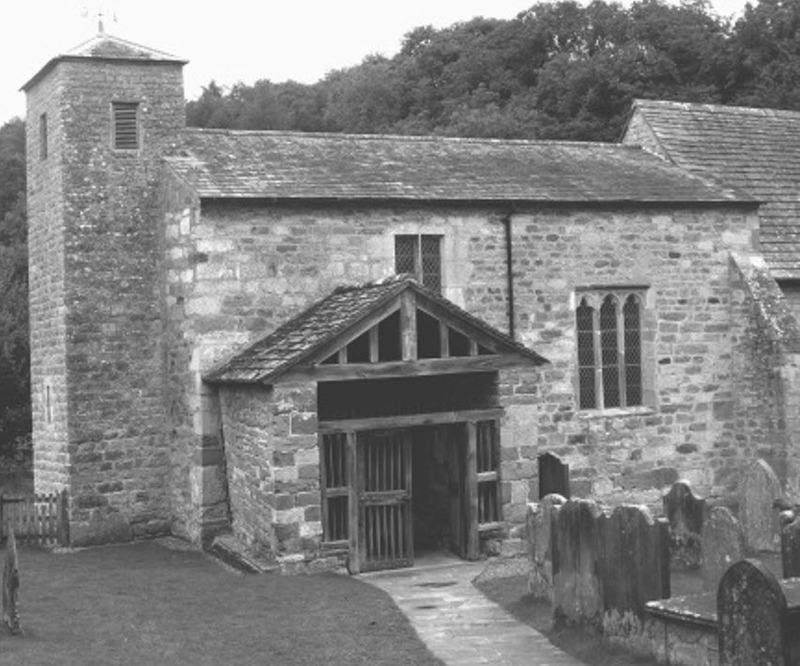 This is a lovely Anglo-Saxon church and might have been in Leslie Stanbridge’s guide book. There was still a lot of moor ahead, so lust looked down into the village whereas from what we read later, we should have gone to the church there also as it was the mother church of the area. As it happened, the way up through the heather overlooking Rosedale Abbey was easier than the steep, slippery stony path into the valley beyond. The Milburn Arms Hotel had only been re-opened that string and we had a friendly stay and talked with the Scott the new manager who had high hopes for his hotel after a refit in the near future. As we walked up through this delightful valley it’s hard to believe this was a place like Rievaulx and Ironbridge that was a place of heavy industry. There are railway workers cottages now gentrified and two roasting kilns and the long derelict railway that took the iron ore down to County Durham and Teesside. At the head of the valley we had a cuppa at Dale Head Farm, which we visited two years previously whilst on the Coast to Coast Walk. At the top of the moor we then joined the Coast to Coast walk and got our second soaking on our way down to Glaisdale above the river Esk. Our hosts for the night were a delightful Scot and an American lady who ran their Red House Farm as homely guest house and also have Longhorn cows (and a bull that is like a soft puppy). We met two couples there over breakfast, one of which had to change their plans immediately on arrival at Heathrow, when the lady on trying to get their suitcase off the baggage carousel did her back in. They were planning to do parts of the Coast to Coast but now she had to drive as her husband walked. The drying facilities were excellent and with everything dry we were able to walk down on the Esk Valley Walk which we had partly walked earlier in the summer, whilst staying Whitby. It was like being with an old friend. We stopped off at the railway station in Grosmont and had some Yorkshire Curd Tarts, which set us on our way again. With Whitby Abbey nearly in view we encountered the ‘trods’ apparently an old English word for paved pathways used by monks (and nuns) as they went between religious houses in the Middle Ages. Soon we were passing under the North Eastern Railway on its high brick viaduct and followed the Esk into Whitby. The tide was out and the Swing bridge open. All we had to do was climb the 199 and more steps up to Whitby Abbey. A selfie done the traditional way of putting the camera on a flat surface and we were finished. Except our day finished at Storrbeck Guest House, going down the steps and back up the other side to Crescent Avenue and a lovely welcome. What were our thoughts? It was a good walk, which would not be beyond many folk especially if you were breaking it up into stages with two sets of cars at either end of each stage. 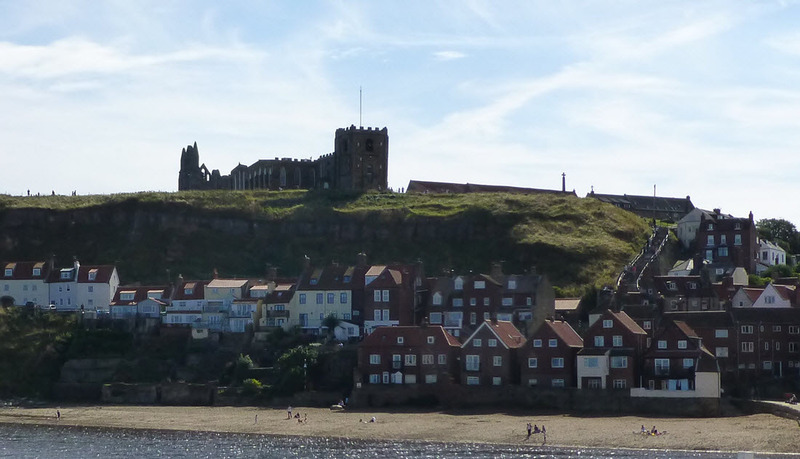 We enjoyed but one was big question, “Whitby what?” Whether talking to people in bookshops in York and Whitby or at Whitby, Rievaulx, Byland Abbeys they hadn’t heard of The Whitby Way. They knew about The Cleveland Way and it was only at York Minster we met a priest who knew Leslie the walk’s creator and was encouraged into the ministry by him. We also met an Anglican Sister who works in the Minster and belongs to the Minster Walking Group that was set up by Leslie. So thanks to him, Annette, her staff and all the friendly people we met it was a great walk we had our own pilgrimage. 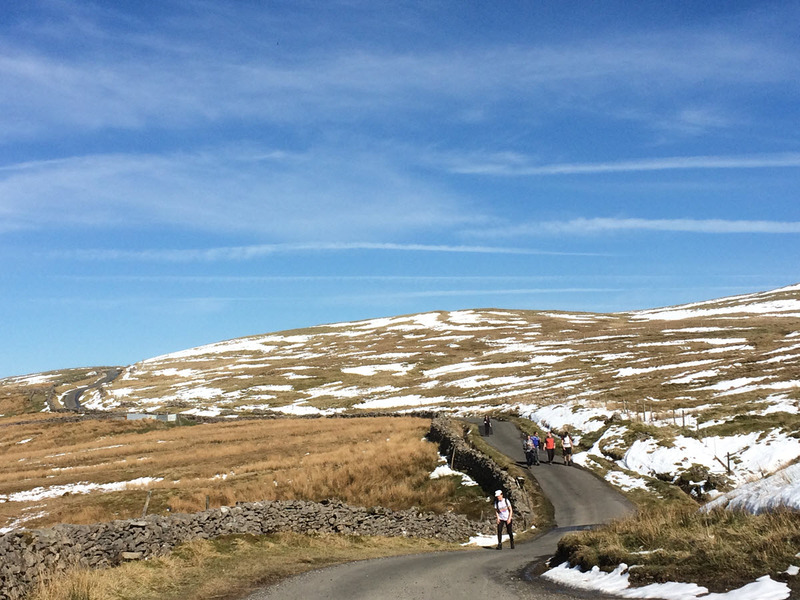 In mid-late September 2019, the Union Cycliste Internationale (UCI) is holding their annual Road World Championships in the Yorkshire Dales. 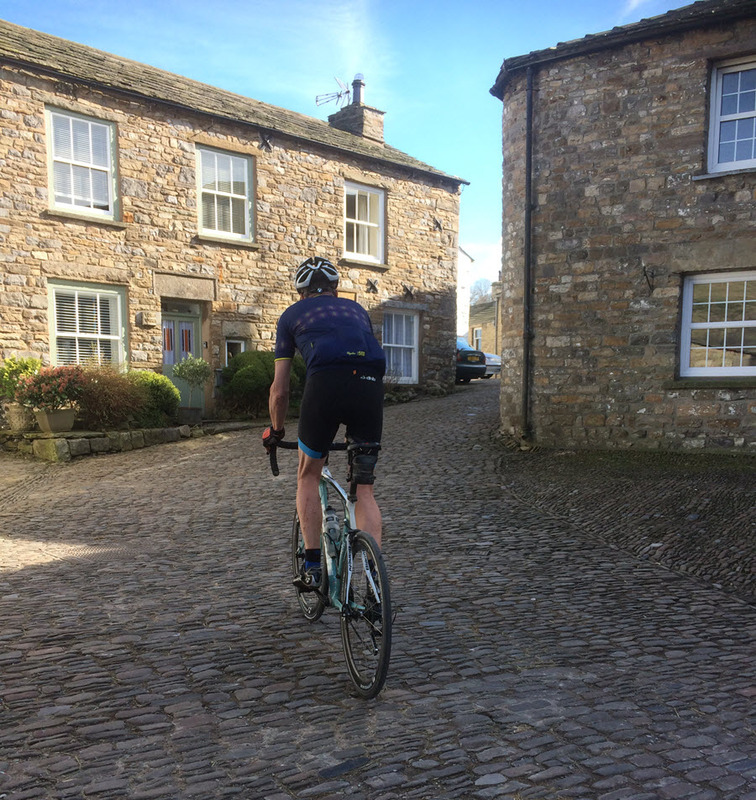 They expect 500,000 visitors to attend the multi-day event and will be closing many roads across North Yorkshire as part of the cycling road race. Although this is a great event for the region and will provide an incredible spectacle for visitors, it does mean that baggage transfer activities before, during and after the event will be severely hampered. 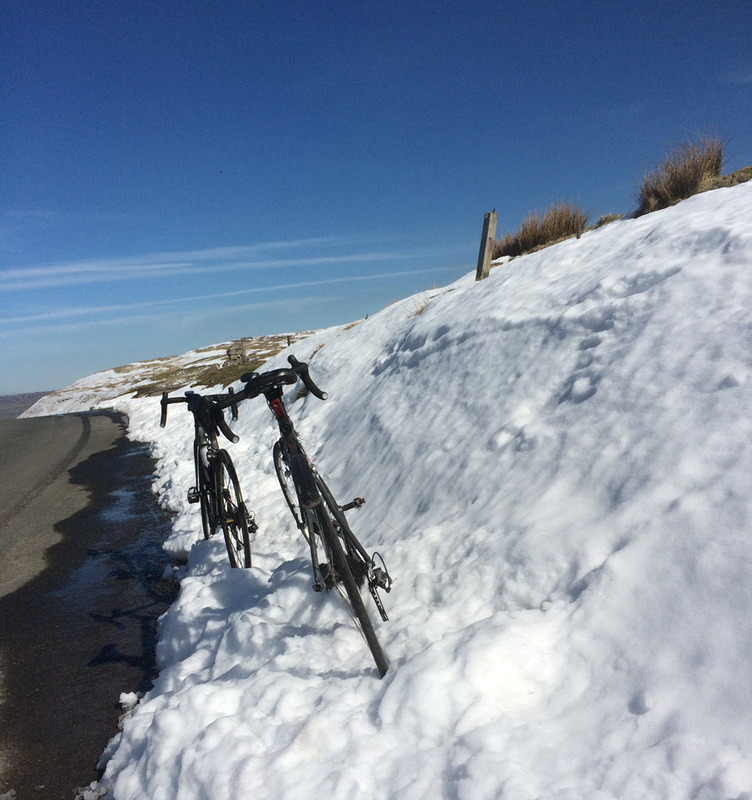 The UCI is not able to provide details of the road closures until closer to the event, so Brigantes is unable to plan for any contingencies during the road closures. It is therefore, with great reluctance that we will have to halt all baggage transfers and accommodation bookings for the duration of the expected road closures. This is currently expected to be Wednesday 18th September to Monday 30th September 2019. The following Brigantes holiday routes will be impacted by the event. If you expect to be walking or cycling along one of these routes during the period of disruption, please contact us.